Looking "where to sell my Lancia Flavia?" Ask the Chicago Car Club! Are you wondering "where to sell my Lancia Flavia ?" The Chicago Car Club is interested in classic cars of all makes and models, especially a Lancia Flavia. We make the process of selling your Lancia Flavia quick and painless. In just a matter of hours we will have your classic valued and, if you do so choose, turned into money in your pocket. All it takes is a phone call or electronic inquiry to get the ball rolling. 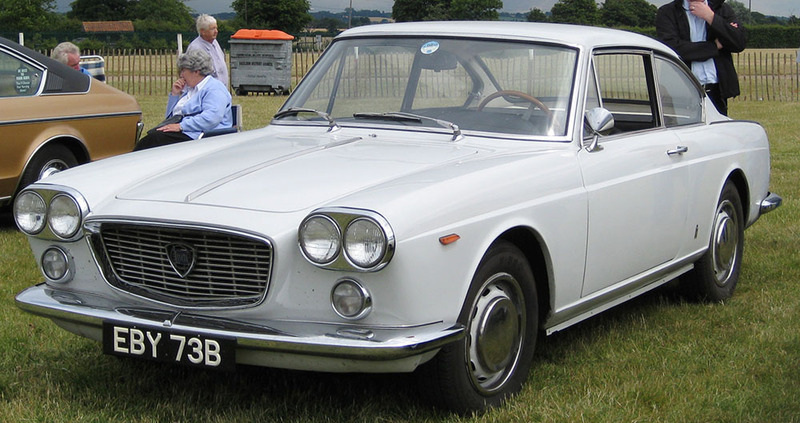 The Flavia was an executive car built by Italian car maker Lancia, from 1961 to 1971. It was designed by Professor Antonio Fessia in the late 1950s. The model name came from “Via Flavia,” the great Roman road leading from Trieste (Tergeste) to Dalmatia. It was launched at the 1960 Turin Motor Show and was put into production the next year. Bodies for the car were built by Pininfarina, Zagato and Vignale coachbuilders, including both coupes and convertibles. Some of these alternate version were quite high performance. The first version, that went on sale in the UK in 1961 had an aluminum boxer engine, front wheel drive and 4 wheel disk brakes by Dunlop. The Pininfarina version was a 2 door coupe, as was a sporty looking coupe by Zagato. It had twin carburetors for additional power. Vignale produced two convertible versions that had a nice run of 1601 units sold. The Flavia, in all its incarnations had a reputation for mechanical problems, especially timing chain stretching. They had to be fitted with vernier adjusters, that were to make adjustments as the chains wore. It was recommended that they be serviced every 6000 miles. They also had a problem with corrosion of the cylinder heads. But despite their problems, they were considered a fast car for their type and era. The engines ranged from 1.8 to 2.0 liters ranging from 1488 cc to 1991 cc. They had fuel injection on later models. They were equipped with 5 speed manual transmissions. The 1500 cc car was tested by British Motor magazine as having a top speed of 92.6 mph (149 km/h) and it had a 0-60 mph (97 km/h) of 18.6 seconds. It retailed for retail price now £1909.